A compact computer called Euclid from Intel should make the development of robots much easier. Euclid looks much like the Kinect camera for Xbox consoles, but it's a self-contained PC that can be the guts of a robot. It's possible to install the Euclid computer where the "eyes" of a human-like robot would be typically placed. Intel demonstrated the Euclid computer in a robot moving on stage during CEO Brian Krzanich's keynote at the Intel Developer Forum on Tuesday. Euclid has a 3D RealSense camera that can serve as the eyes in a robot, capturing images in real-time. It has motion and position sensors that can help the robot move around both indoors and outdoors. An Atom processor provides the computing capabilities to analyze the images and data gathered by the robot. Euclid also has wireless connectivity capabilities for communication and tracking. It runs the Ubuntu OS and the ROS (Robot Operating System) set of robot development tools and libraries, which are used to develop many robots today. Intel also announced it wants to make drones easier to build with a new development kit called Project Arrow. It's a complete drone system in one board, Krzanich said. Project Arrow has LTE communications, a flight controller, and a RealSense camera for vision, to help identify and avoid obstacles. The development board uses Airmap SDKs, used for low-altitude flight management of drones. Project Arrow can be ordered for US$399, Krzanich said. He didn't provide a shipment date. Later, Intel will ship a "complete drone platform" with the board and the parts needed to make a drone from scratch. It'll ship in the fourth quarter this year or early next year, Krzanich said. Intel's drones are already flying the skies. In June, 100 Intel drones successfully flew above Sydney Harbor. These new development kits are part of Intel's push of its 3D RealSense as a leading product in its chase for the augmented reality, virtual reality, drone, and robotics markets. 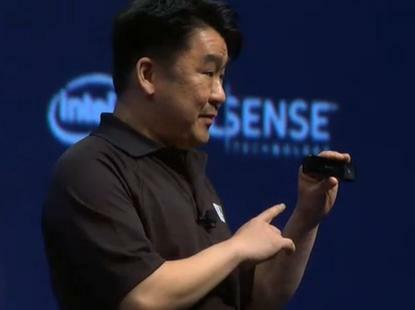 The company announced the new RealSense 400 camera, which is sharper and provides better tracking than its predecessors. It's not clear if Euclid and Project Arrow are based on the new RealSense camera.